Allergic reactions occur when a person's immune system produces antibodies called IgE against the allergen. The next time the person encounters the substance, IgE tells the white blood cells to produce histamine, which rapidly produces allergic symptoms such as itching, rash, wheezing and edema. In other cases, an allergic response doesn't appear for hours to days. This reaction, called a delayed hypersensitivity allergic reaction, is caused by the interaction between the substance and T cells, another type of white blood cell. Many substances cause delayed hypersensitivity allergic reactions. Poison ivy and similar plants cause some of the best-known delayed hypersensitivity reactions. When a person first touches the plant, no reaction occurs for the first 24 to 48 hours. Once the itching, rash and blisters appear, an allergic reaction to poison ivy can take up to eight weeks to resolve. Other common sources of delayed hypersensitivity reactions are metals such as nickel and cobalt; neomycin, an antibiotic found in many topical ointments; formaldehyde; and potassium dichromate, a tanning agent used in leather shoes and clothing. Latex allergy, which is becoming increasingly common in medical personnel, can also cause delayed hypersensitivity allergic reactions. Around 20 percent of Americans have at least one common contact allergy, Aetna InteliHealth states. Drug reactions can occur immediately or as a delayed hypersensitivity allergic reaction. Penicillin and similar antibiotics are the most common cause of allergic reaction, according to MedlinePlus, and can occur as a delayed reaction. Some allergic reactions cause serum sickness, which include fever, weakness, hives, joint pain and lymph node swelling. Although antibiotics are the drugs most often associated with delayed allergic reactions, any drug, including anticonvulsants, anesthetics, heart medications and preservatives, can cause a delayed allergic reaction. 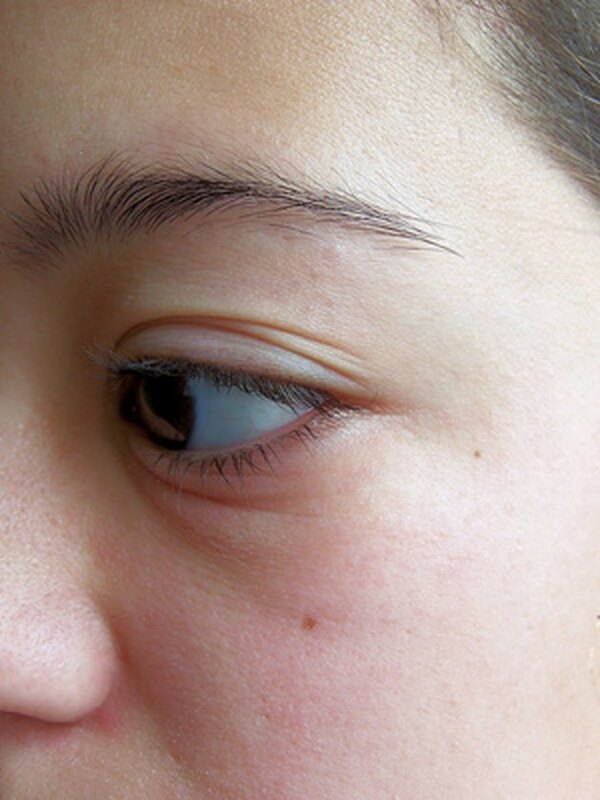 Rashes, itching and swelling, especially on the face, often accompany delayed drug reactions. Food reactions are common causes of delayed hypersensitivity allergic reactions, which occur eight hours or more after ingestion. Food allergies affect between 6 to 8 percent of children and around 2 percent of adults, reports Amy Simmone, Ph.D., an associate professor of food safety and quality at the University of Florida. The most common allergenic foods include legumes, mollusks, milk, eggs, fish, crustaceans, wheat and tree nuts, notes Simmone. Nausea, vomiting, rashes and asthma-like reactions and vomiting can occur as delayed sensitivity reactions. Food additives such as sulfites, monosodium glutamate, aspartame and FD&C yellow #5 can also cause delayed hypersensitivity allergic reactions.